The wonderful smokey grey necklace pictured below – and a set of matching earrings – have arrived! Come check them out at Heritage Collectibles in Lewiston. We’ll be open next on Thursday, June 25th from 10-5, Friday, June 26th from 10-8 (it’s our Ribbon Cutting, Grand Opening, and ArtWalk), and Saturday, June 27th from 10-5. 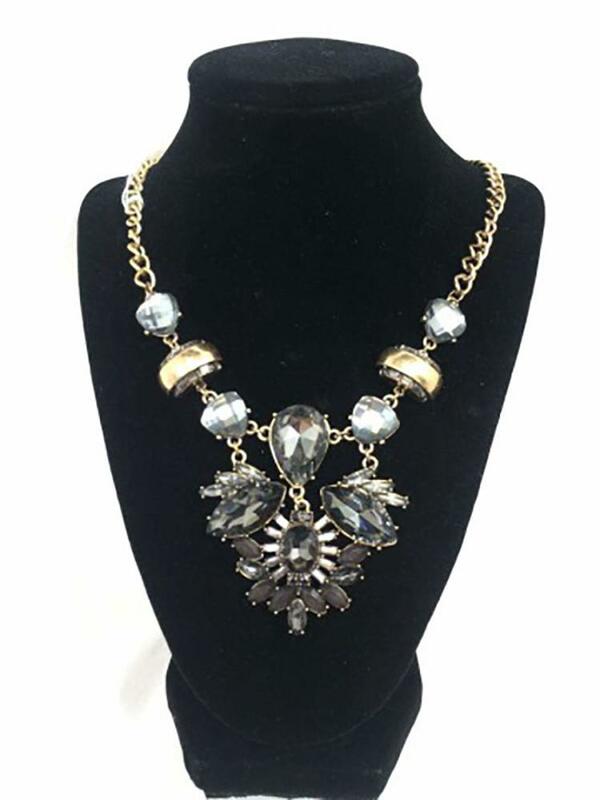 This stunning necklace will be available at Heritage Collectibles, 189 Main Street in Lewiston on or about June 19, 2015. Hours: Usually 10:00 am to 5:00 pm on Thursdays|Fridays|Saturdays and 12:00 noon to 5:oo pm on Sunday. We’re also often open until 7:00 pm on Fridays. All of the items we offer are vintage, antique or simply pre-owned. Therefore, reasonable wear & tear is to be expected, and our items are sold as seen and as described in the photos and/or in person. This entry was posted in Jewelry - Vintage & Contemporary and tagged art, collectible, costume jewelry, grey, Heritage Collectibles, Lewiston, necklace, smokey. Bookmark the permalink.